Welcome to Happy Daze in the Valley! 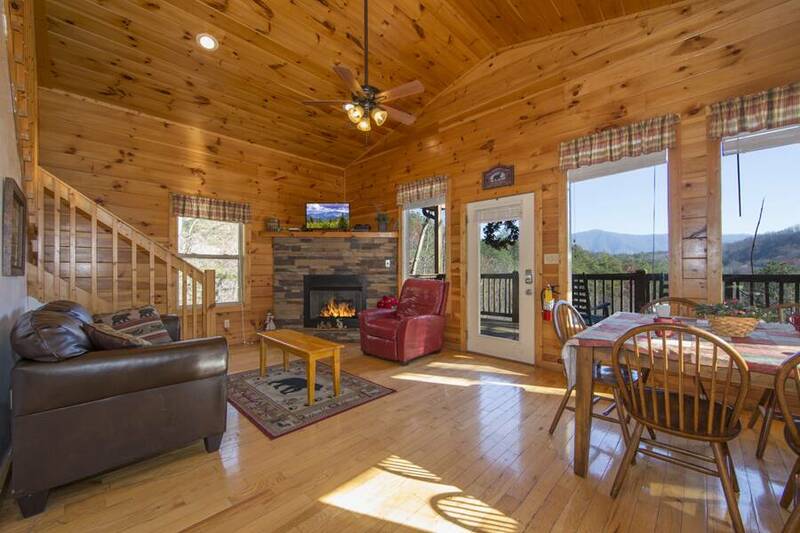 This beautiful 3 bedroom, 3 bath Smoky Mountain cabin rental accommodates up to 8 guests in luxurious comfort. 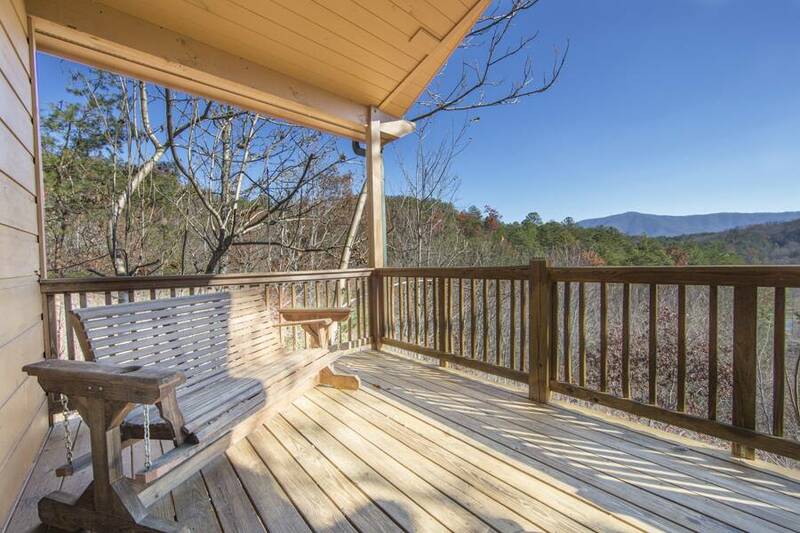 This amazing cabin features an astonishing view of the Smokies and plenty of space to enjoy the outdoors. 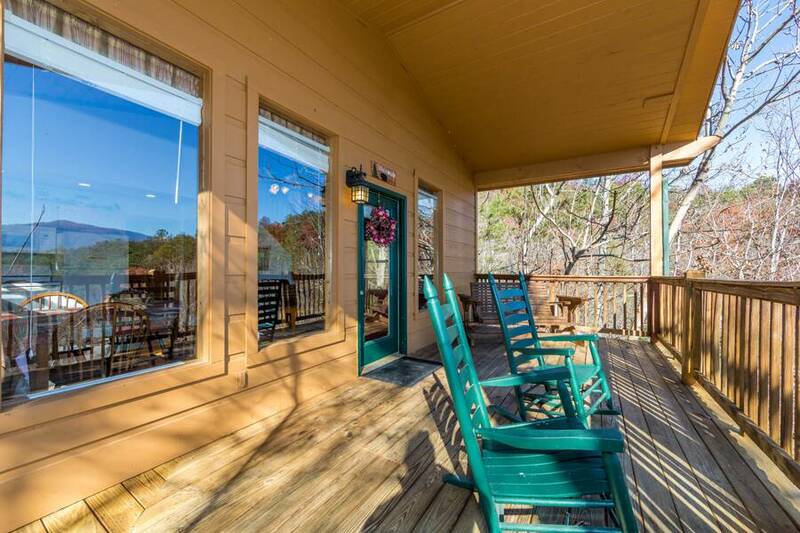 Upon entering Happy Daze in the Valley, you’re immediately greeted by the gleaming natural wood interior and spectacular windows that frame the Smoky Mountain view. The super cozy living room features a wonderful stone accented fireplace, comfy furnishings and a beautiful cathedral ceiling overhead. 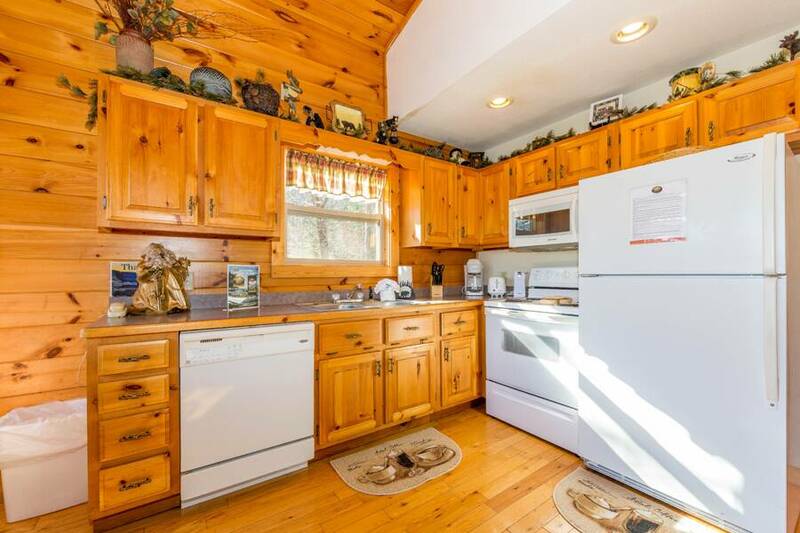 Adjoining the living area is the fully equipped kitchen with modern appliances and all of the necessary utensils to prepare, cook and serve a delicious meal while staying in this cabin. 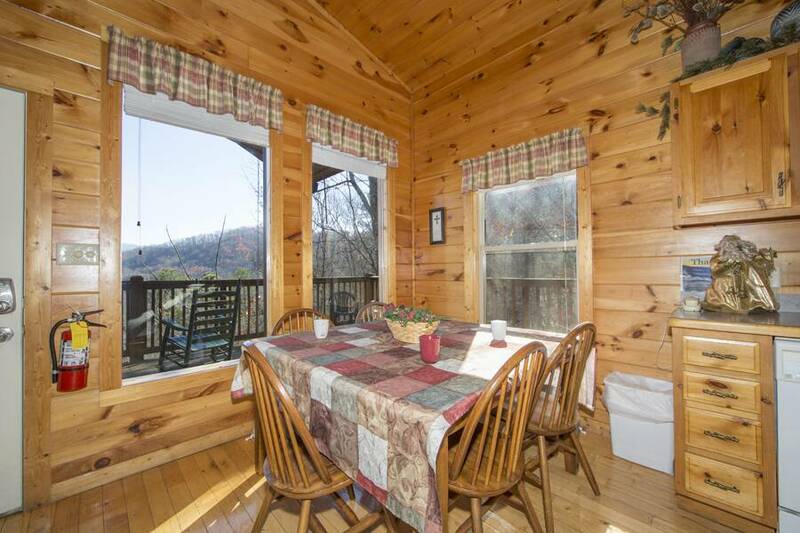 There’s also a nearby dining area that comfortably accommodates up to 6 people with views of mountains. 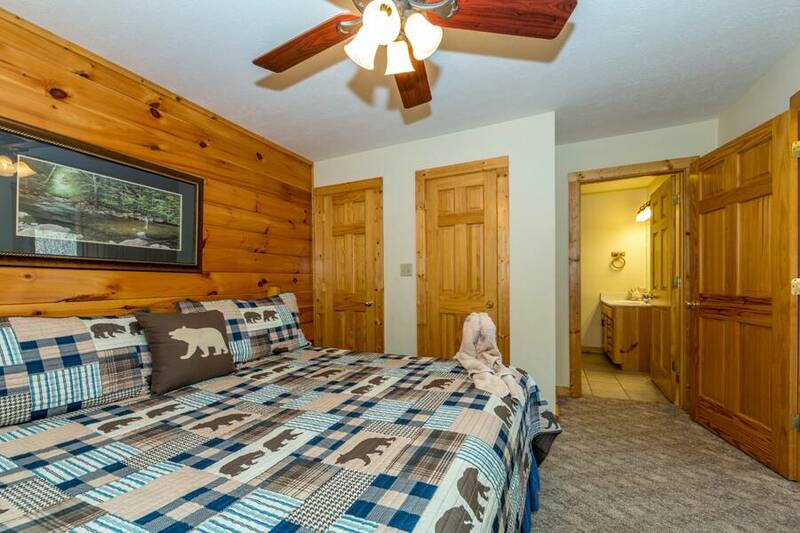 When it’s time to call it a day after exploring Gatlinburg and Pigeon Forge, head into the beautiful main level bedroom for quiet relaxation and a wonderful night’s sleep. 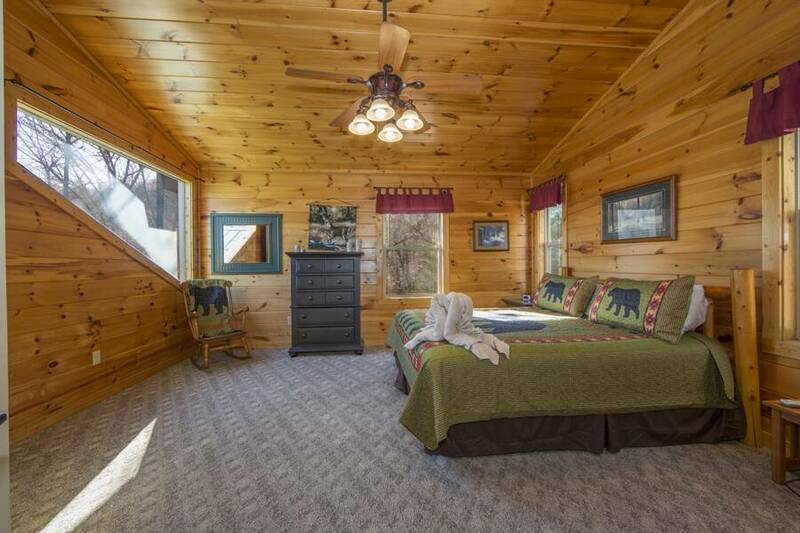 Here you will find a comfy log king bed and a private in-suite bath with jetted tub. 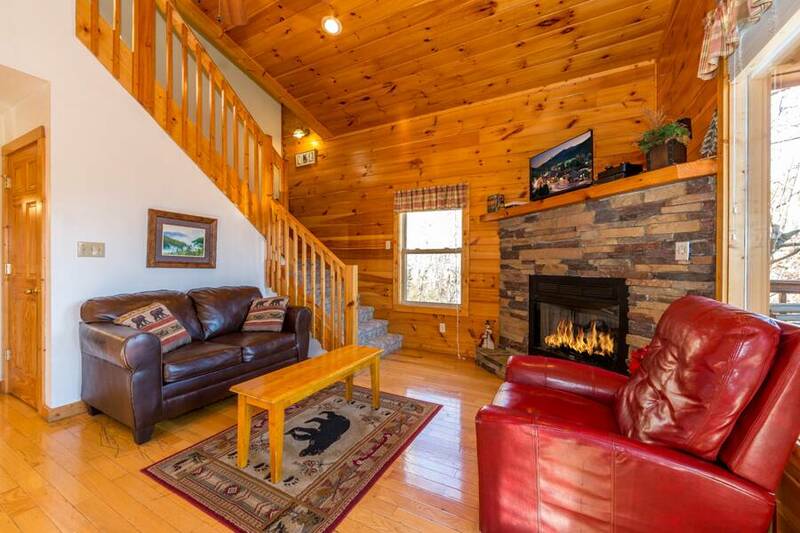 Venture upstairs at this breathtaking cabin and you’ll enter the second level king suite bedroom. 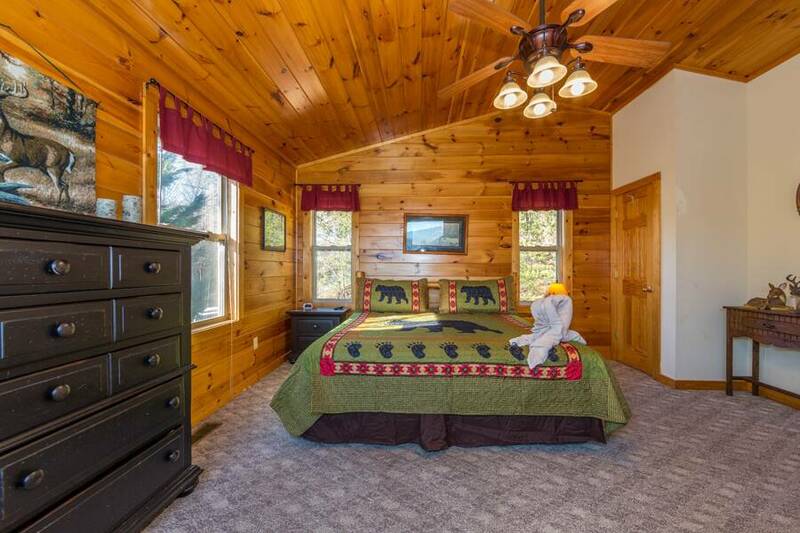 With beautiful natural wood accents and spectacular windows looking outside, you’ll almost feel like you’re in a treehouse. 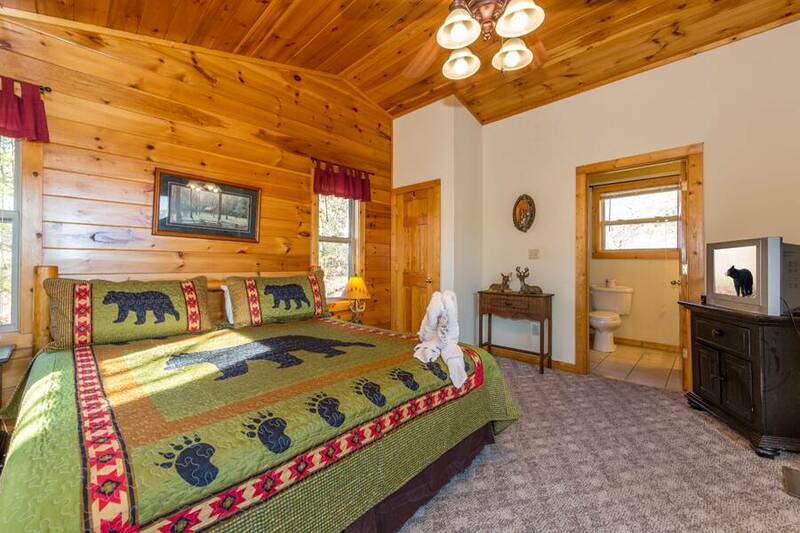 This awesome bedroom features a log king bed and an in-suite full bath with a jetted tub. 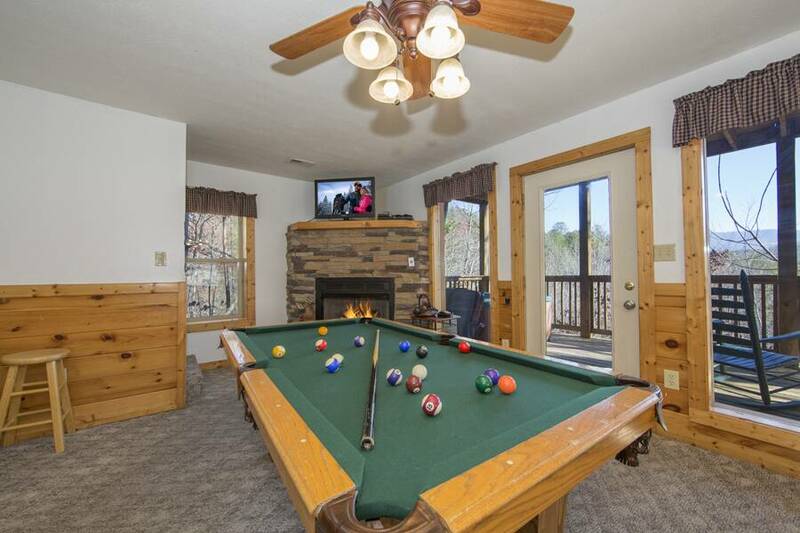 Head on downstairs and enter the fantastic game room with it’s own stacked stone fireplace. 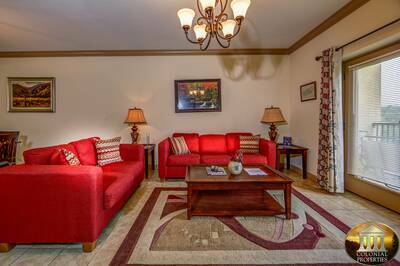 Here you can kick back and unwind on the comfy sofa or turn on the TV to watch your favorite shows. 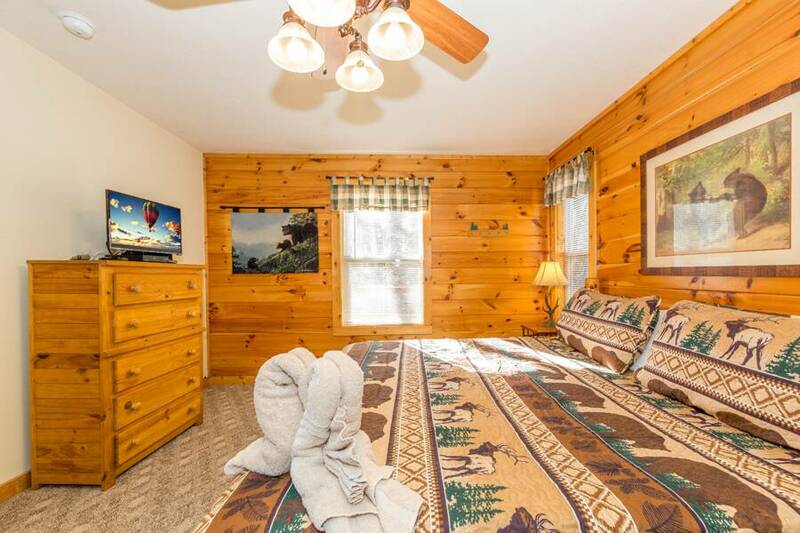 On the lower level of Happy Daze in the Valley, you’ll also find the third luxurious bedroom. 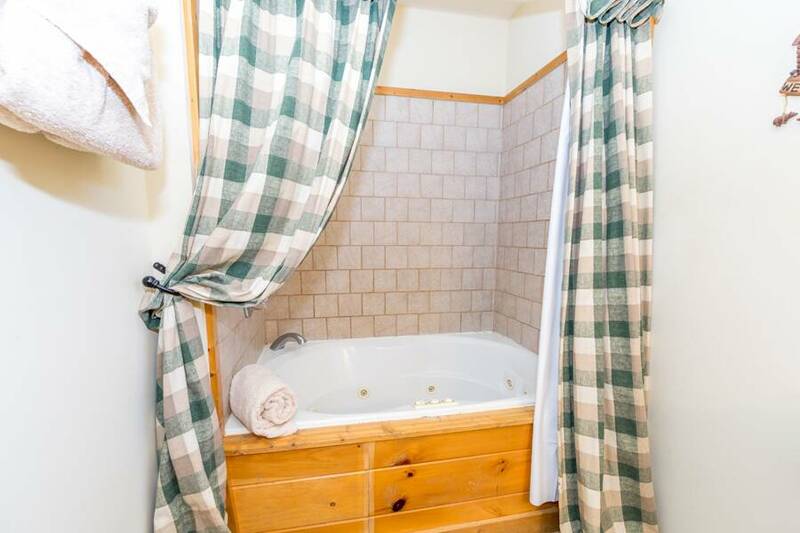 It features a relaxing log king bed and private in-suite full bath with jetted tub. 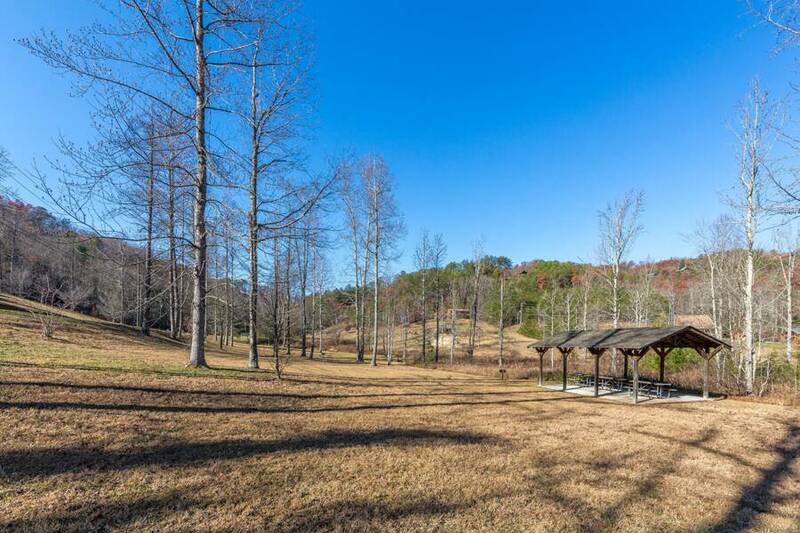 While staying at this amazing cabin, you’ll have plenty of space to enjoy the outdoors. 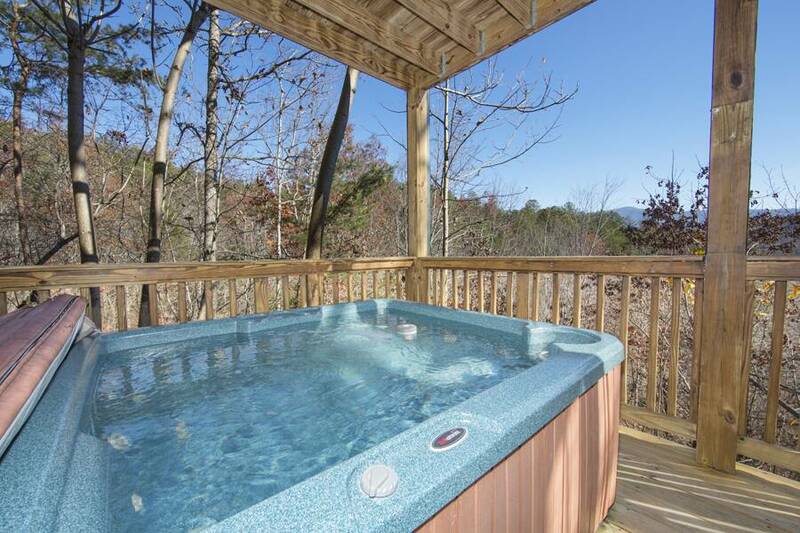 The lower level deck features seating, a porch swing and the steamy outdoor hot tub. 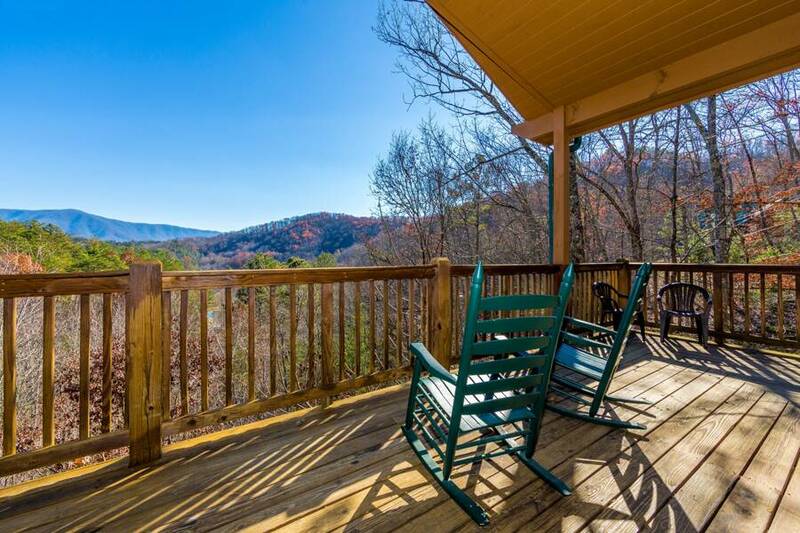 The main level deck offers you and your guests a sweeping view of the Smoky Mountains and super relaxing rocking chairs. 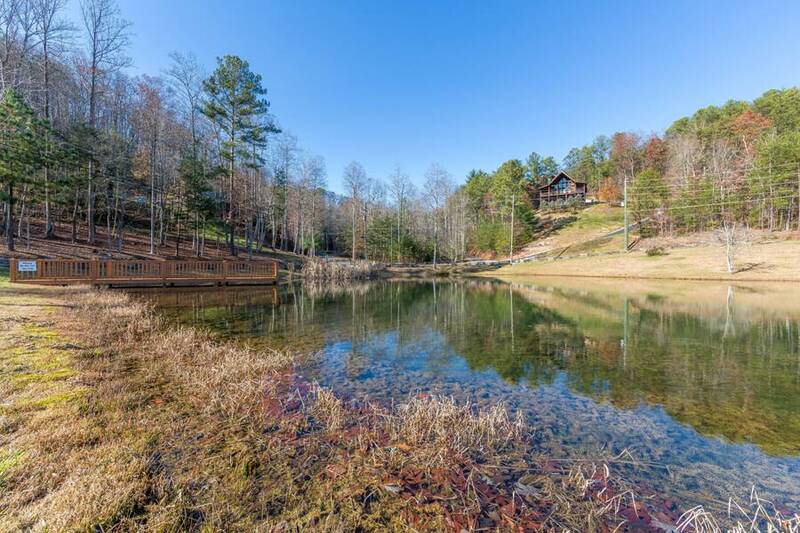 When you're on vacation at this fabulous cabin rental, be sure to bring along your fishing poles. 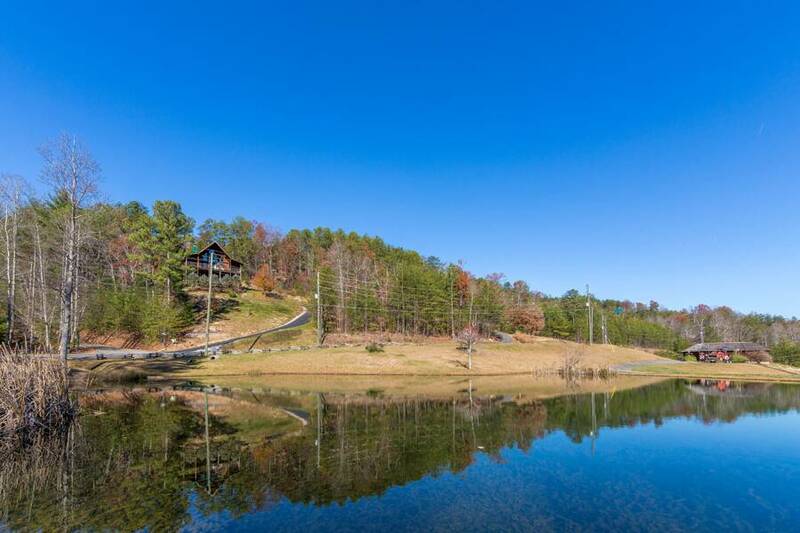 There’s a 2 acre mountain pond nearby with it’s own fishing pier to cast your line from. 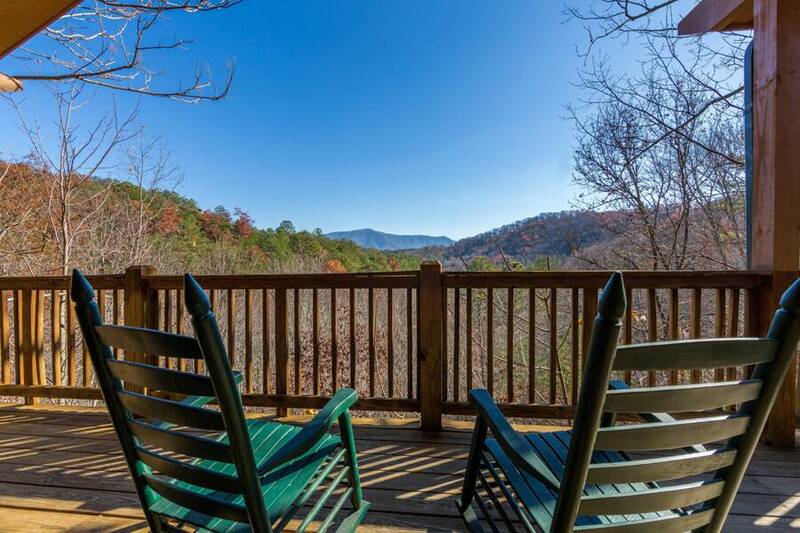 When you’re searching for the ultimate Smoky Mountain vacation getaway, be sure to reserve your stay at this beautiful cabin. 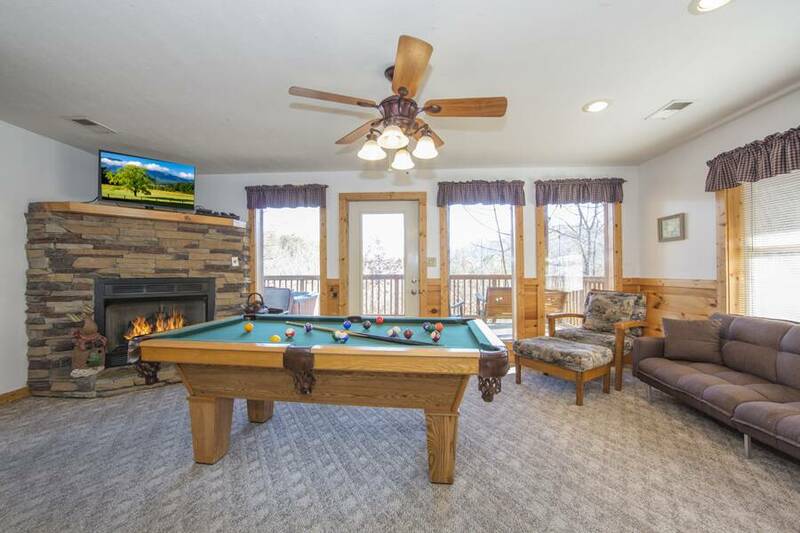 With 3 luxurious king suites, terrific mountain views, 2 fireplaces, and a hot tub, you’ll have everything you need to feel right at home and enjoy the vacation of a lifetime. 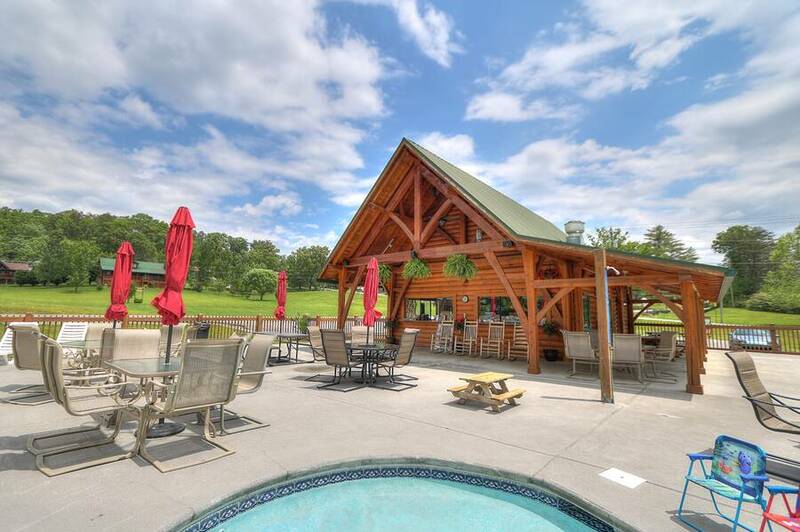 Happy Daze in the Valley provides you and your guests complimentary seasonal swimming pool access at Honeysuckle Meadows Pool and Deli! 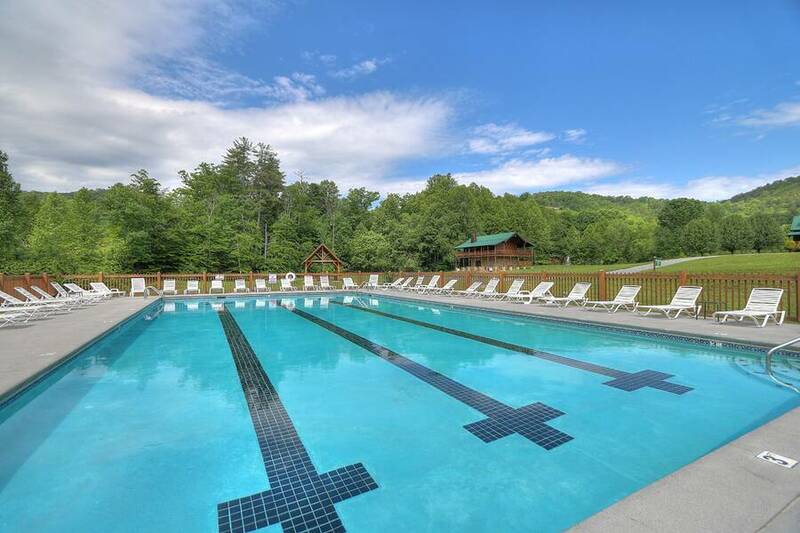 The pool is open from 10AM to 9PM EST daily, weather permitting. When you arrive at the pool, you will need to verify the cabin that you’re staying in. 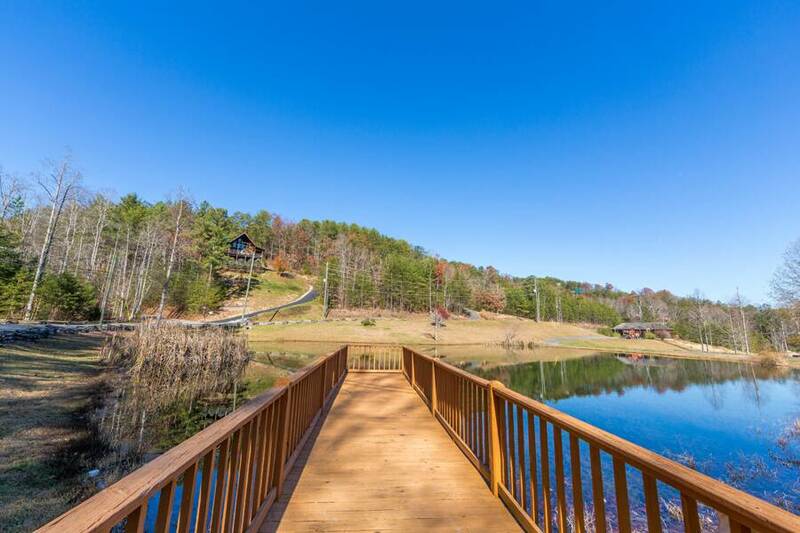 Additionally, there is a catch and release fishing pond located adjacent to the pool. Be sure to bring your fishing pole too! 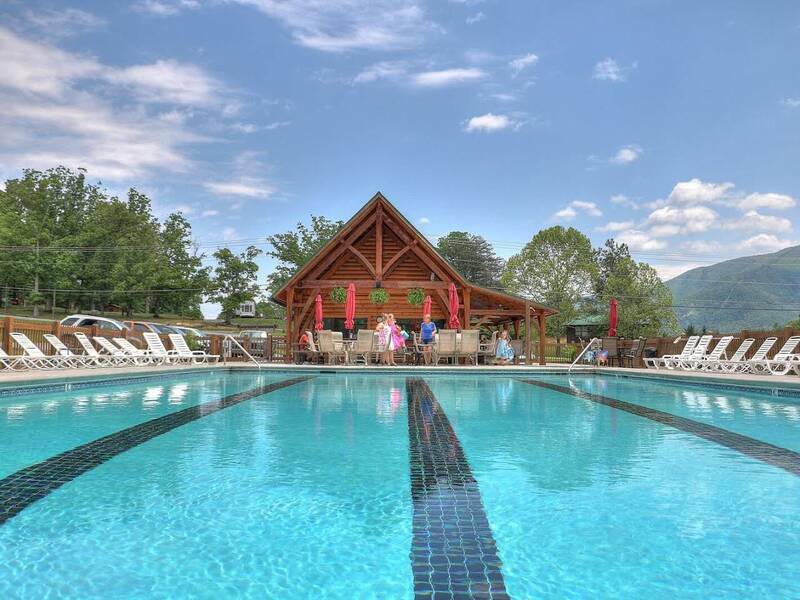 The address to the swimming pool is: 3151 Happy Hollow Road Sevierville, TN 37862 and they can be reached at 865-429-2350. 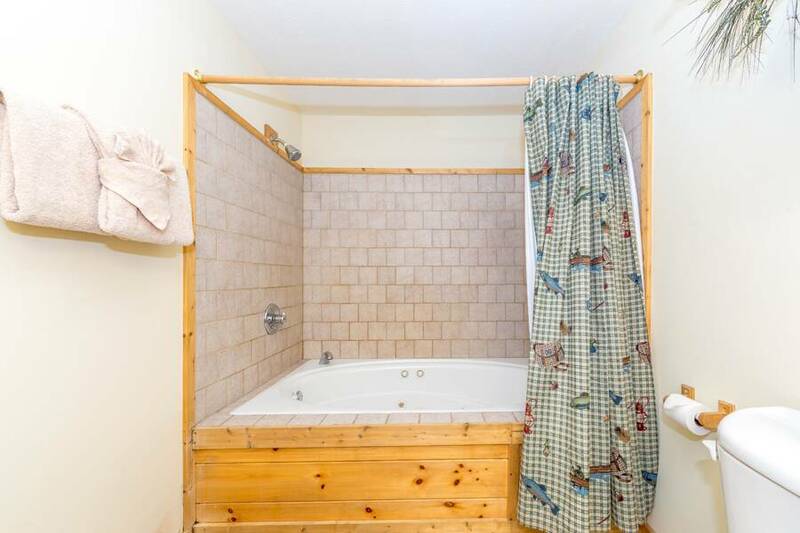 A: Hi James, unfortunately this cabin is not one of our pet friendly properties. A: Hi JL! 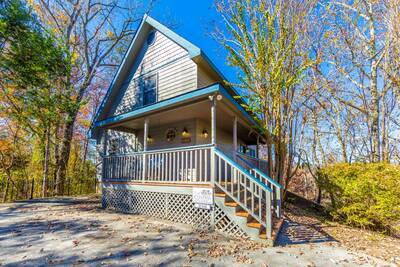 Happy Daze in the Valley is located approximately 30-45 minutes to Gatlinburg. A: Hi Sharon! 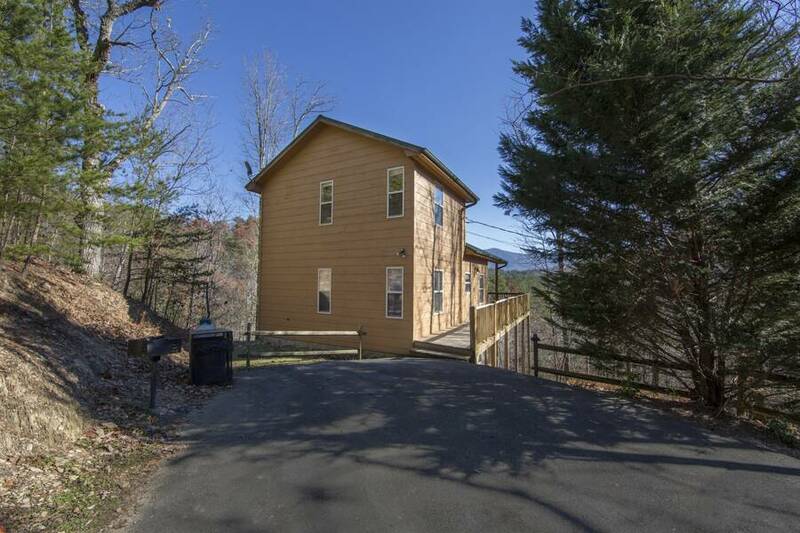 Although Happy Days in the Valley is not a handicap accessible property. 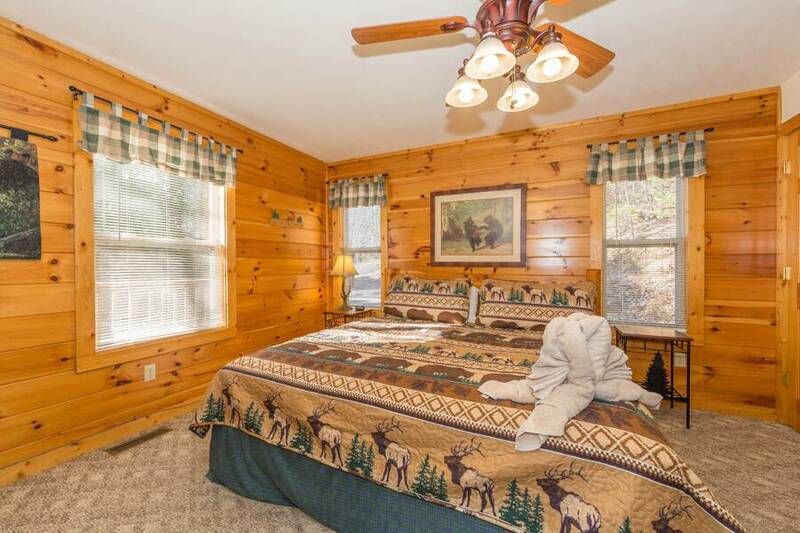 There are minimal steps to access the cabin, and there is a bedroom on the main floor. A: Hi Kristi! Yes, we offer Military Discounts. A: Hi Deanna! 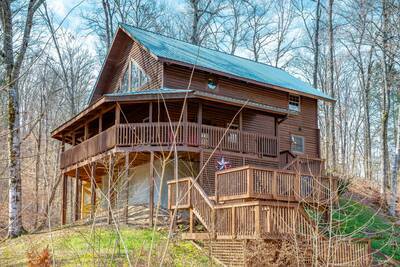 This cabin is located in beautiful Wears Valley. A: Hi Krisa! 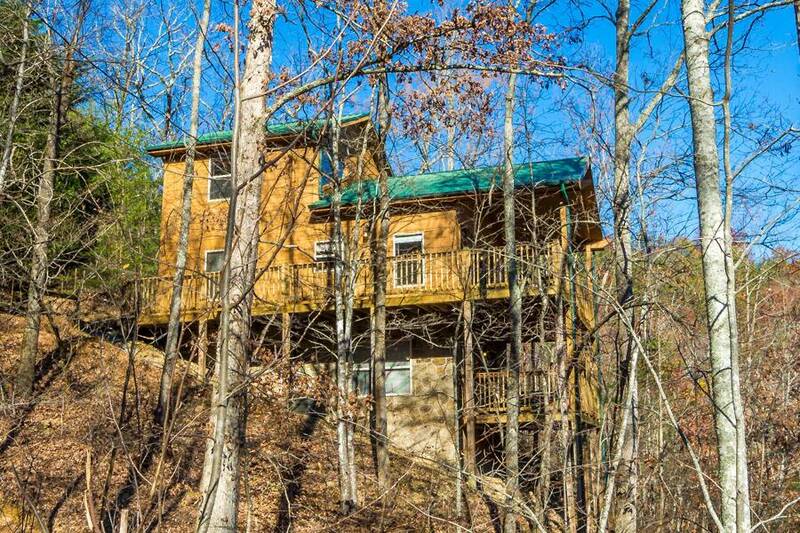 No, it is a 3 level cabin with a bedroom and private bath on each floor. 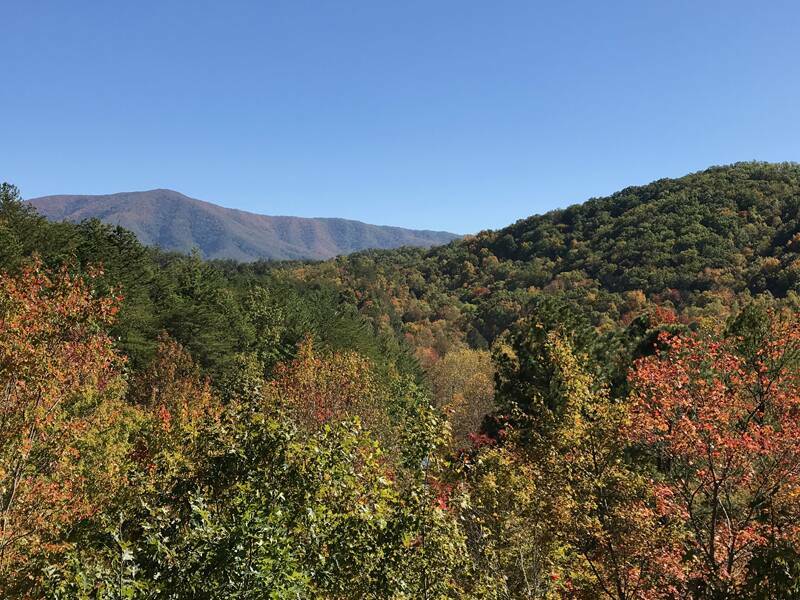 “ This was our first family vacation to Tennessee, and we LOVED every minute we were here! Our cabin was Happy Daze In The Valley and it defintely lives up to its name! Very clean and spacious, with a great view. Some tree triming would increase to a fantastic view :) We were within reasonable distance to many of the local attractions which was very nice! 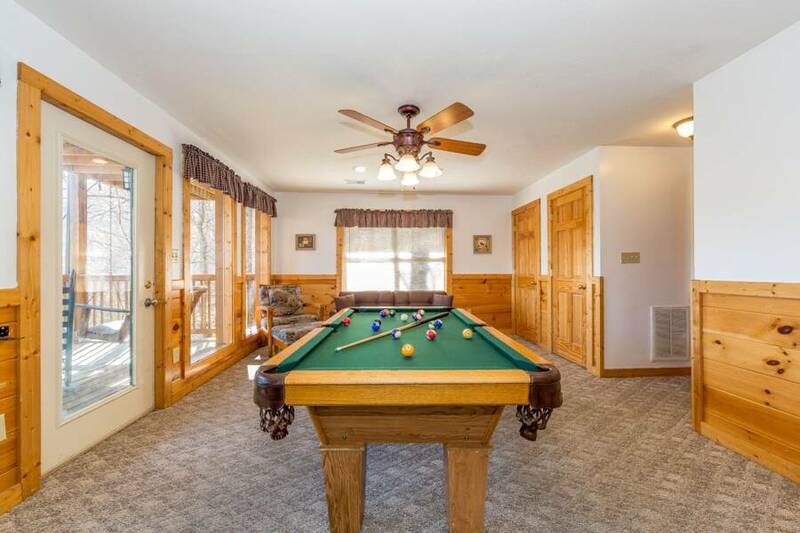 The pool table was great for our two kids. 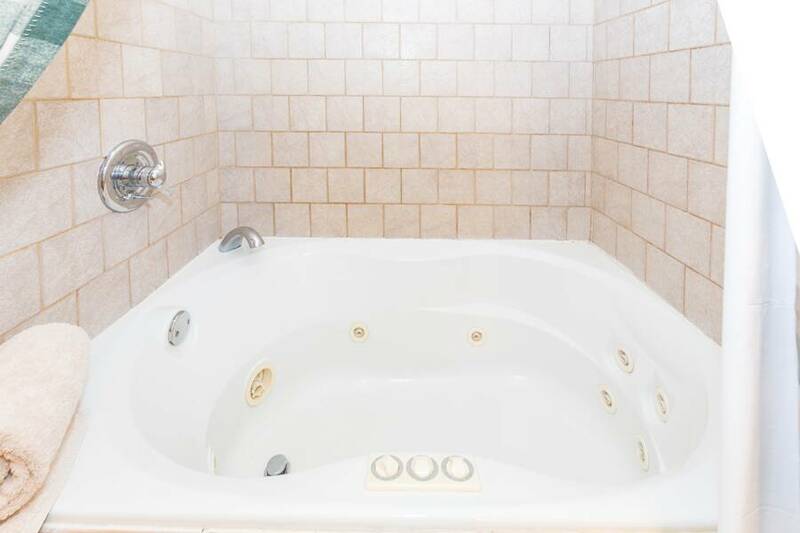 A great way to unwind after a day of running around is in the jetted tub, ahhh, was very relaxing! The traffic can be kind of overwhelming but if you can make it thru that, its all worth it! Definitely planning a return trip with the family! 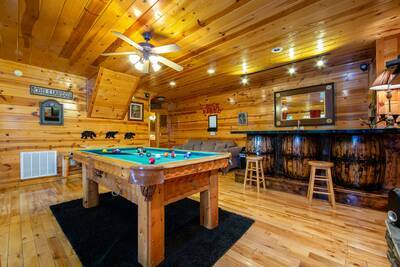 “ Happy Daze in the Valley is a great cabin to kick back and relax in. Quiet woods surround you and make you forget about the world outside. 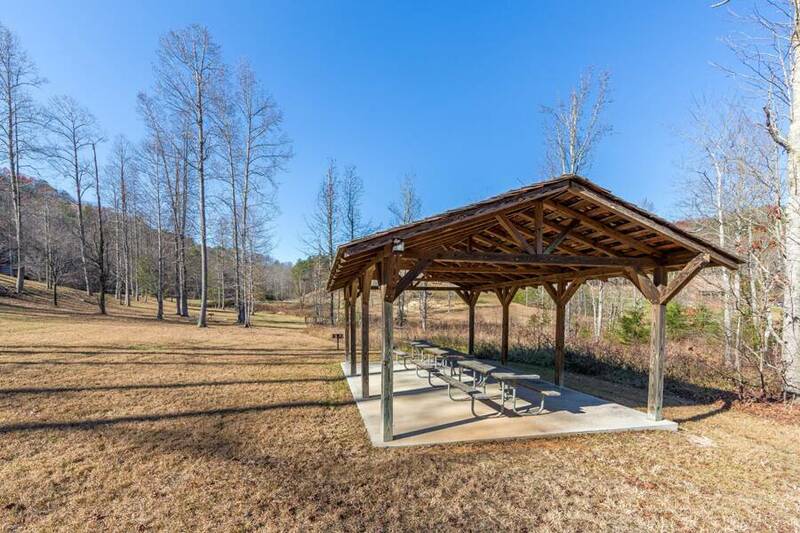 Great place to enjoy your family time together. 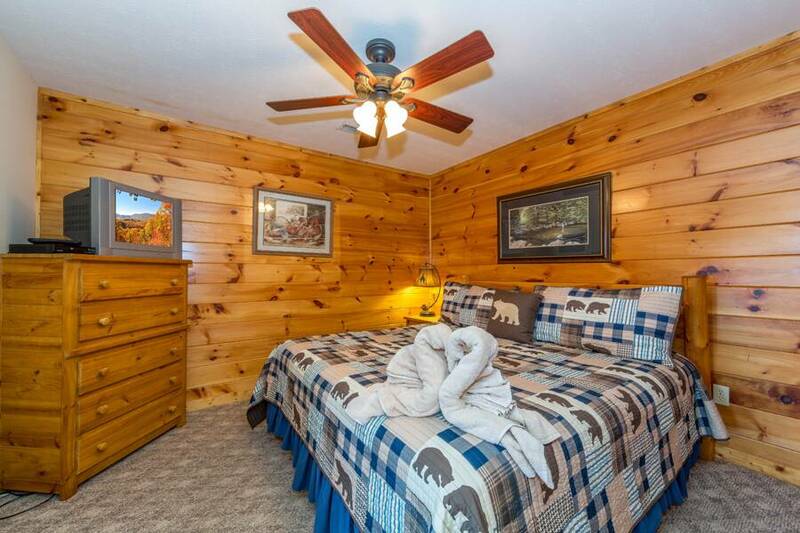 “ Cabin were very nice. Had just a couple is small problems. But nothing that would hinder us from staying again! 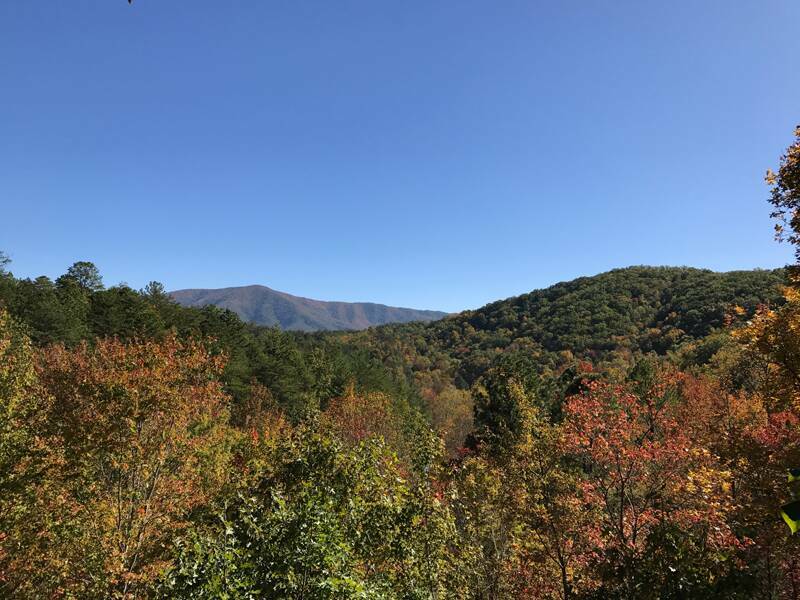 “ This is our 3rd time visiting the Sevierville/ Pigeon Forge/Gatlinburg area. We have stayed with Colonial Properties all 3 times. We have had great service and have had great experiences with them. I would recommend staying with them. I will again. 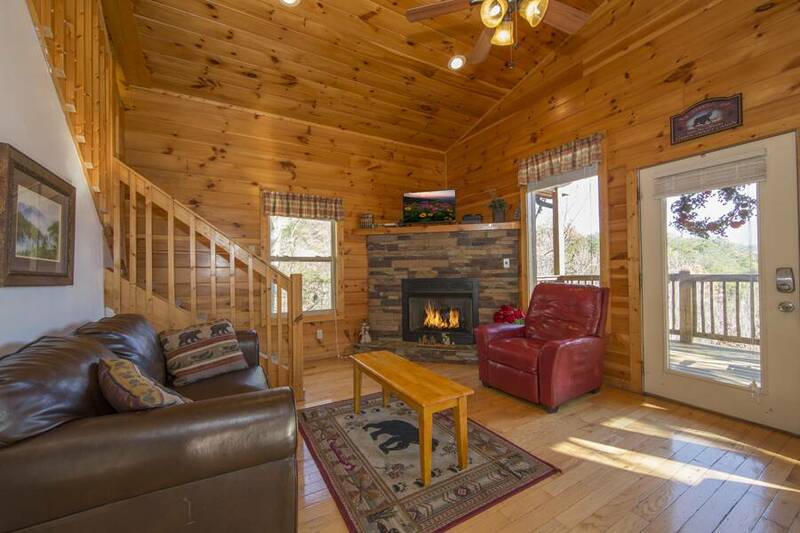 “ The vacation rental was just like the pictures, we had a great time and hope to return soon. 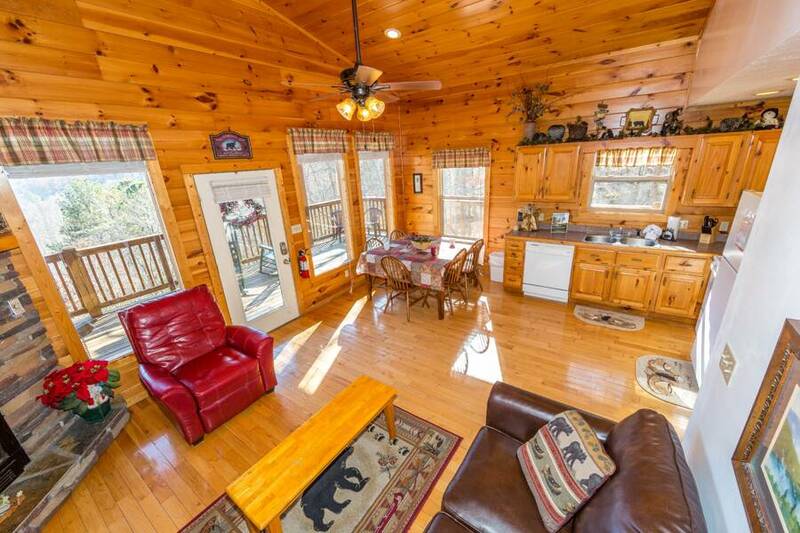 “ The cabin was clean and had a great view. “ Such a great cabin! The whole front side of the cabin had beautiful mountain views! 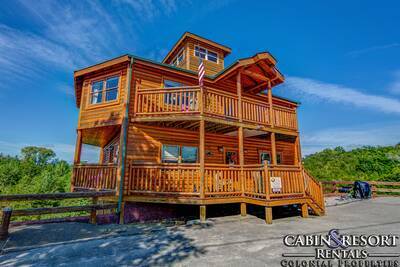 Will definitely book this cabin again! “ Overall, the stay was nice. We try to make it to the mountains at least twice a year. 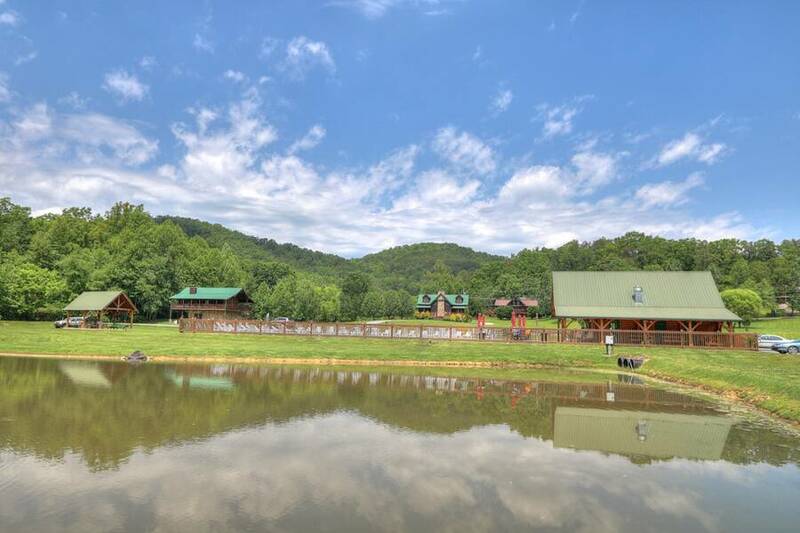 It is a great place for friends and family to make lasting memories. Thank you for allowing us to enjoy what God has given us. “ We had a great time. 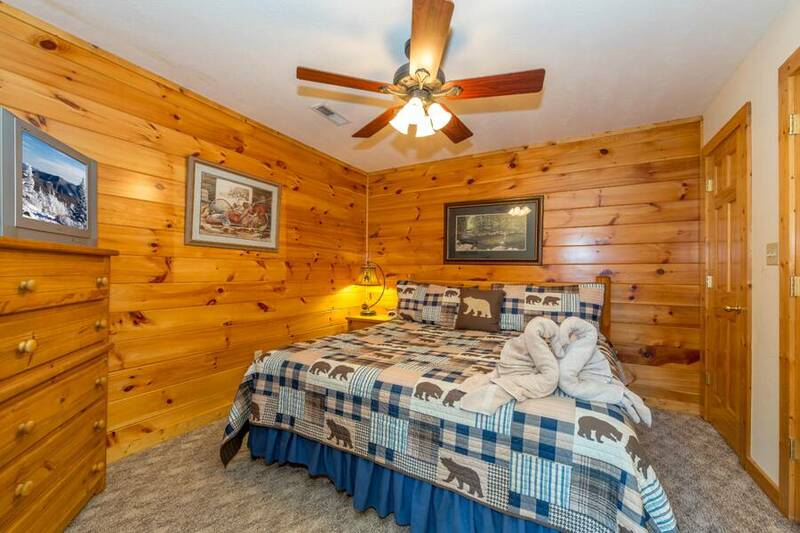 The cabin was as good as the pictures on-line. The view from the back deck was fantastic! Hot tub was perfect. Being with my family made it a great week. We will be back!! “ A nice family cabin. 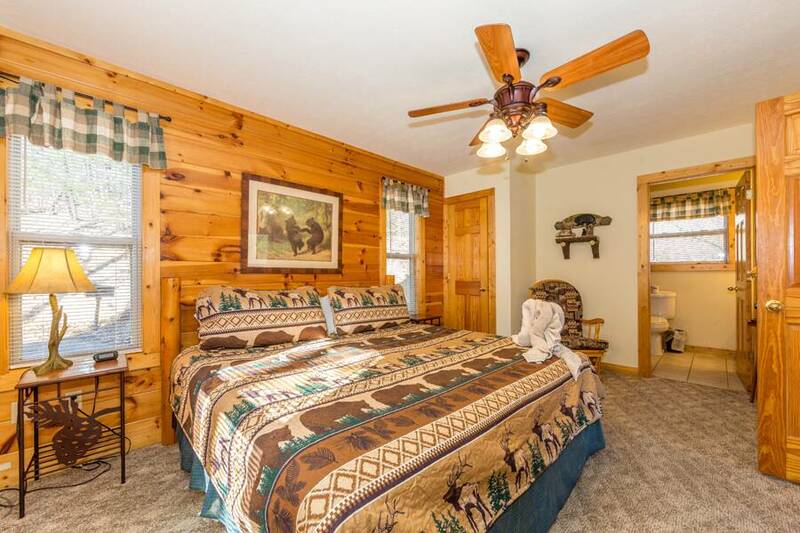 “ We were vacationing with our kids and grandchildren so this was perfect with a bedroom and bath on each of the three floors. 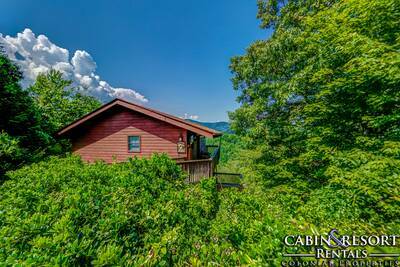 The view was great and we would definitely recommend this cabin!! 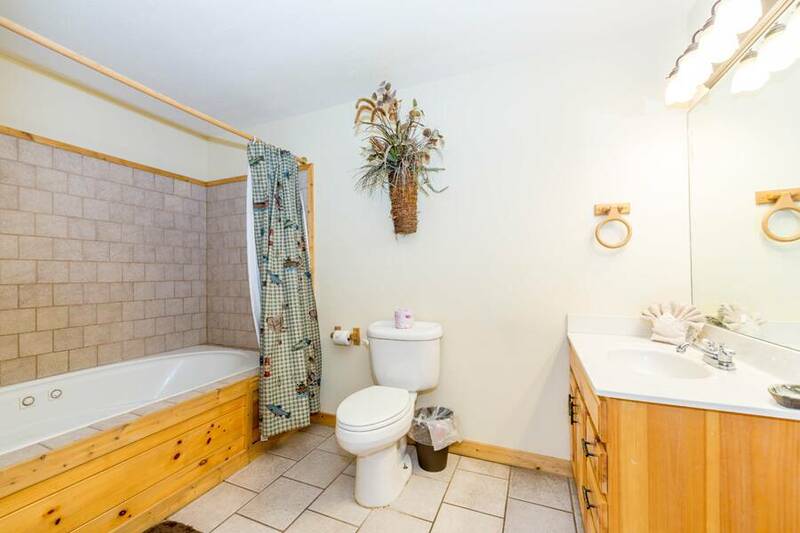 “ Good: somewhat private, fairly clean, nice view. Bad: TV didn't work, meager amenities. 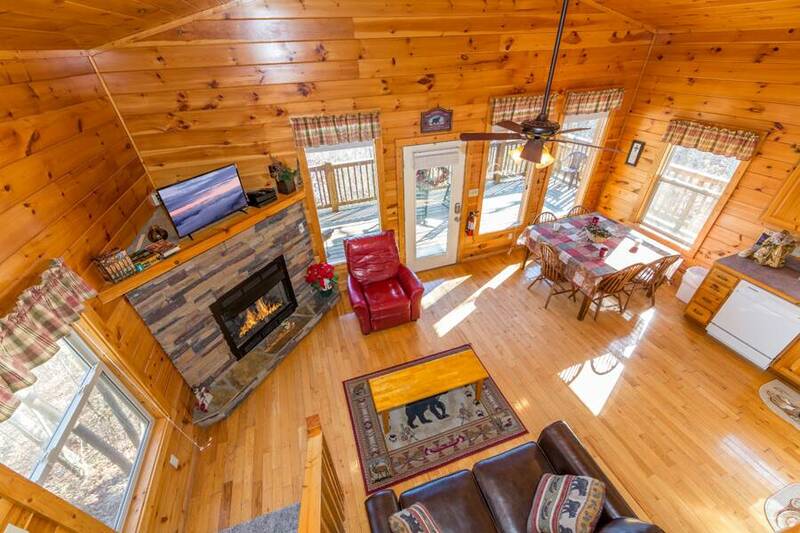 “ The cabin was nice. 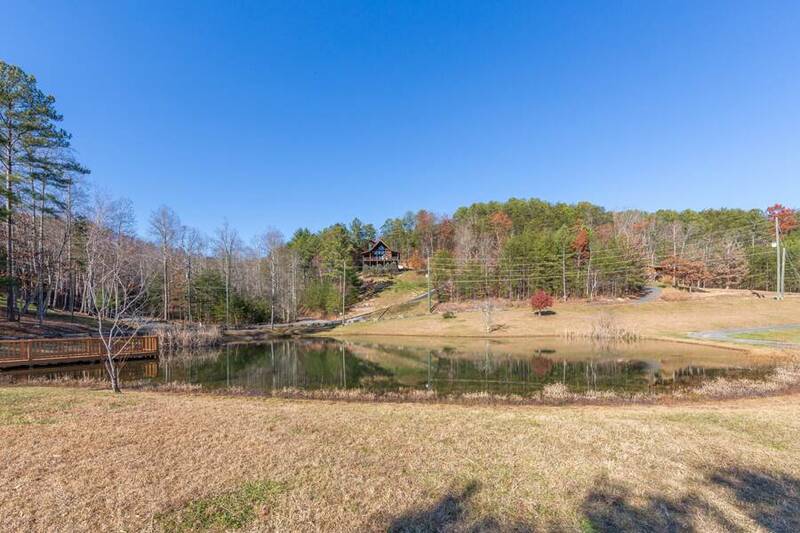 “ It's a beautiful cabin with gorgeous views. Lots of space, all the necessities. Our family of 8 stayed there comfortably. 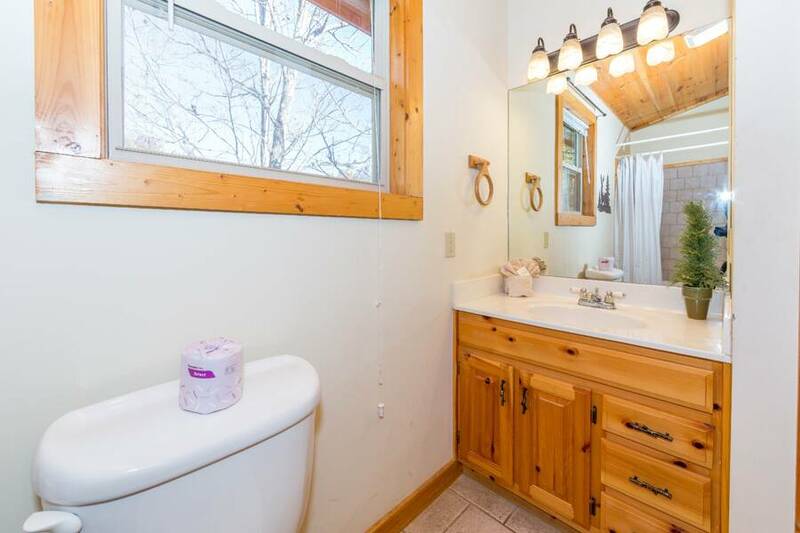 3 large bathrooms attached to 3 king sized bedrooms. The game room was an excellent place to hang out. 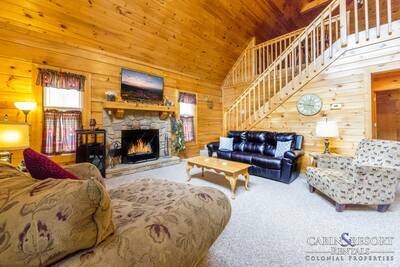 We had a hard time deciding on whether to go see the sites or just lounge at the cabin. We had a wonderful time and look forward to going back again. 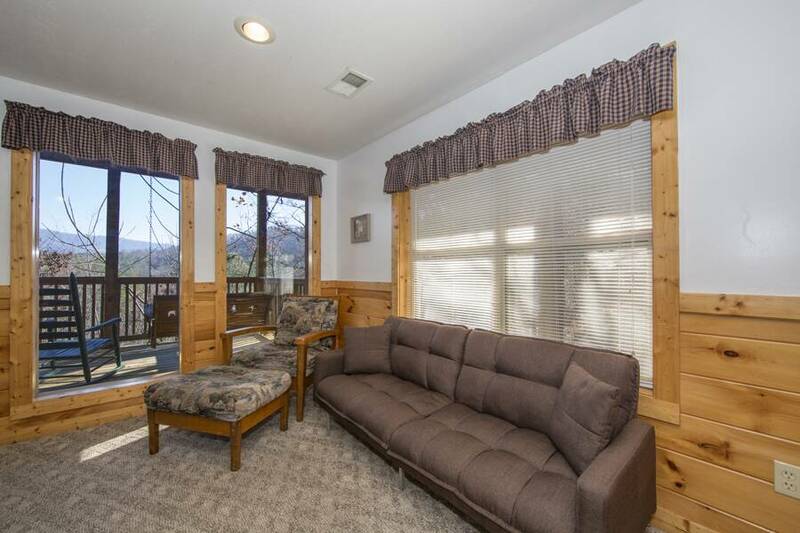 “ The cabin was clean and has a great view. 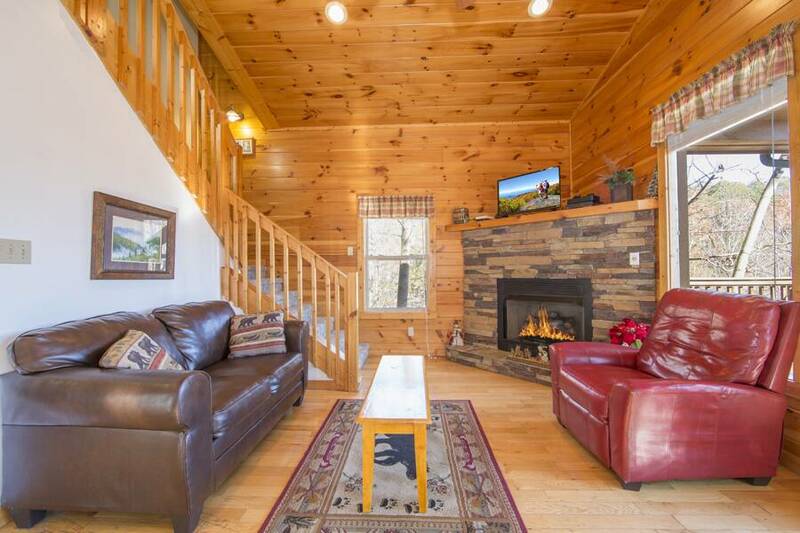 “ My family and I rented our cabin in late July. The views were breathtaking and the cabin was in tip top condition. We enjoyed the location at the top of a mountain. It was a steep incline, but the privacy and views were well worth it. We will rent from Colonial Properties in the future. The ease of booking and condition of the cabin will definitely bring us back. Thank you for helping make some great family memories for us. 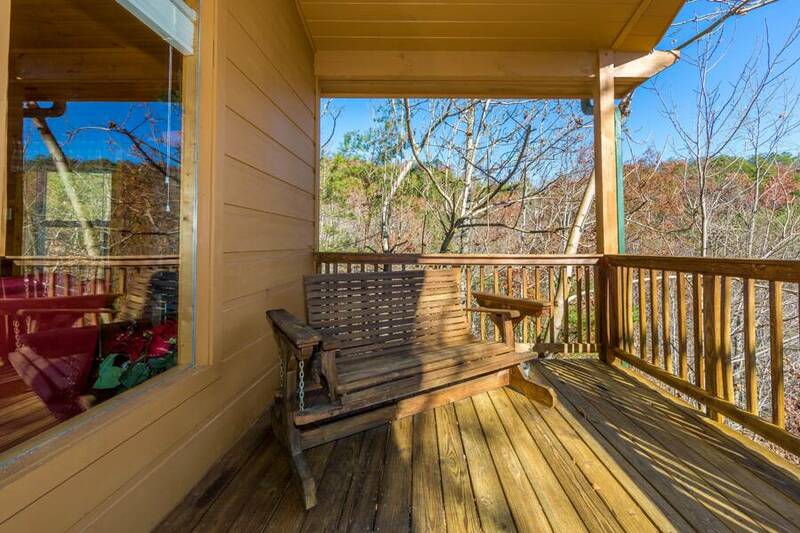 “ I really enjoyed the stay at Happy Daze in the Valley. I could only wish for a little more sunshine, it rained the whole time we were there. 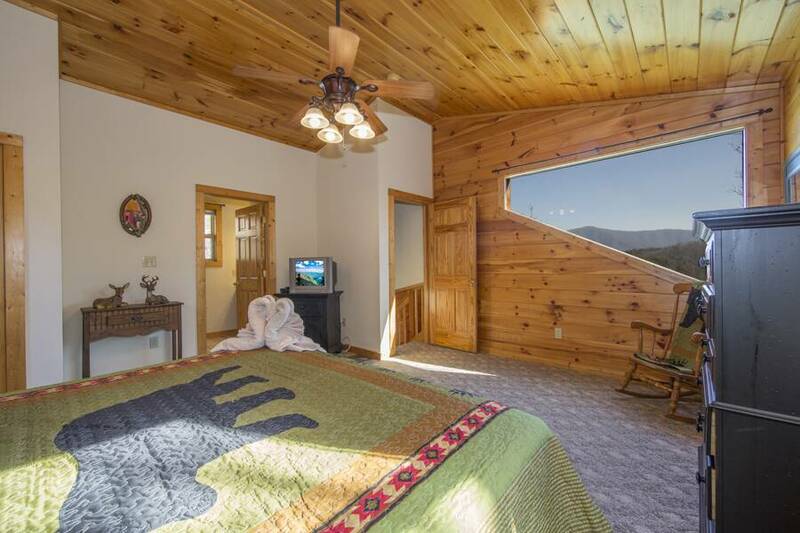 “ The cabin had a great view, and the upstairs bedroom was gorgeous. The big window overlooking the valley was so nice to wake up to. “ Very nice and will definitely recommend to others. It was an awesome cabin! 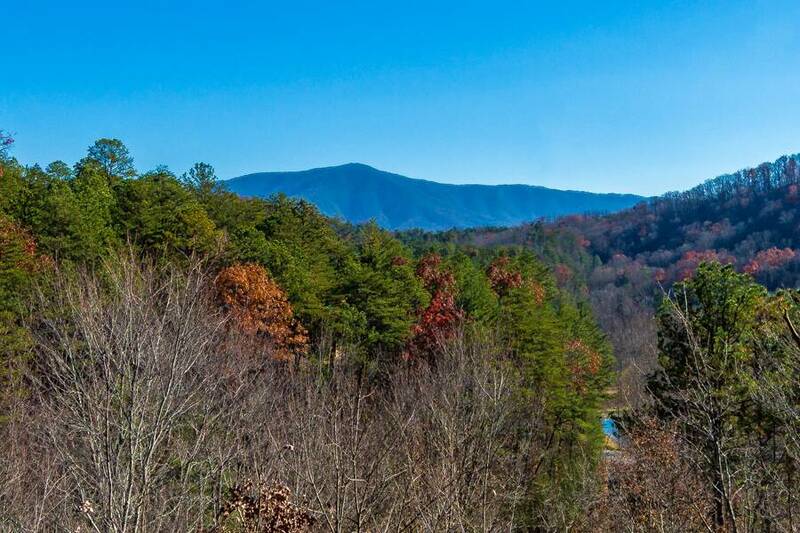 “ The view from Happy Daze in the Valley is beautiful! We really enjoyed sitting in the swings and glide rocker on our decks every day just admiring the view. “ We had a great time at the cabin! Plenty of room for the four couples that spent a few days enjoying the mountains on our motorcycles! "Happy Daze" was well kept, clean offered plenty of room and what a view! We'll be back for sure!